Yowza, our house was not prepared for having a mobile baby. Our girl has her favorite areas of destruction in our living room: the bookcase and the entertainment center. Inevitably, by the time Johnny gets home from work each day, DVDs and books are strewn everywhere. Why didn’t we think to get pieces of furniture with doors on them?! She also enjoys crawling as fast as her little legs will carry her to try to grab hold of Persie’s tail before Persie skitters away. These days there’s never a dull moment where our girl is concerned. Early this morning, Johnny and I are headed to our girl’s nine-month appointment. We’re very curious to see what her height and weight percentile are since she’s already wearing size 12 to 18 month clothing! What the? And it will be interesting to see how she reacts to the doctor since her stranger danger radar is at an all-time high. My mom is in town visiting, and let’s just say our girl is taking her sweet time warming up to her. So we’ll see how Baby Girl reacts when the doc approaches with the stethoscope! As much as possible, we’ve been trying to feed our girl the same food we eat. She is still all gums, so we are a tad limited. That said, she loves Cheerios, cheese sticks, steamed carrots, avocado, peaches, cream cheese on toast, and yogurt. So all that food fits into our normal food budget. Still, when we’re out or in a hurry, we use little food pouches (since she refuses to be fed by anyone but herself) and various pre-packaged snacks, which cost us about $40 last month. As far as clothing is concerned, we bought another fleece footie PJ from Costco for $8. I also spent $15 on two pairs of leggings and some cute bows from Target. We also got her a Halloween costume (!!! ), finally. She’s going to be the cutest elephant you ever did see. And we spent a whopping $13 on it. Hooray for cute + cheap, right? Now the question is whether she’s too young to be taken trick-or-treating. Johnny says yes. I say no. Per the usual, we spent about $40 on diapers and wipes last month. Also, today’s doctor’s appointment comes with a $15 copay. Aaand that’s it. So the grand total for month nine comes to $118. Johnny’s grandmother very generously gifted our girl with $100 to spend as she pleases, so I’m going to see how far we can stretch that in the coming month on clothes and toys. I’ll keep you posted :). And now onto pictures. Our poor girl is battling her first really terrible cold, but she still let me document her nine-month-ness. What a trooper! For the been-there-done-that crowd, does this sound pretty typical? How do we relate and differ? What are your kids’ costumes for Halloween? my 9month old nephew is being dressed up as Yoda! Oh dear! That will be so cute! We have free well visits, too, Halsy! But it’s been three months so I completely forgot! Way to go on cheap Halloween costumes two years in a row. And agreed on needing winter clothes… currently, the warmest thing our girl owns is a jean jacket, which isn’t gonna cut it in Utah! She’s sooo cute! I love the baby posts because I get to see adorable pictures of her. It’s nice to know for the future when I have children, what kind of costs “real” parents have. Makes it seem far less intimidating than one might conjure up. I vote for bringing her Trick or Treating She’s only a cute baby elephant for one time, right?! Also…you guys like to buy candy sometimes right? So do a little trick or treating, gather up some candy, show off her cuteness, and then you will “save” money on some candy snack for a few weeks!!! Thanks, Melanie! 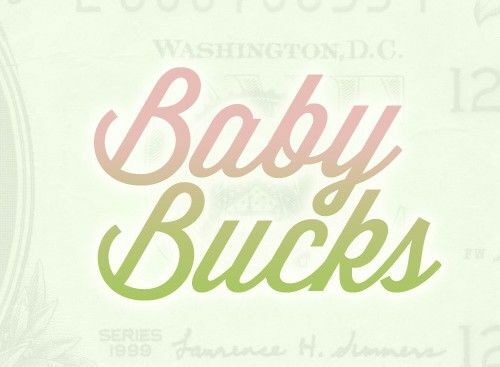 I’ve been surprised by how reasonable this first year with a baby has been financially, too! And cute elephant aside, I’m definitely excited for Halloween candy! I think I’ve just about gotten Johnny on board :). Oh my gosh, THE CUTENESS! I’m a sucker for cheeks and baby toes. I’ll be sure to have my husband thank you for the intensified baby fever. Also, my little one was an elephant for her first Halloween. The cuteness was unbearable. This year she’s going to be a dragon (and is totally digging the whole ROARing thing). I’m just glad she’s going to be nice and warm. The 7-year old wants to be a hula girl, which already makes me shiver. Haha, Jen, I’m the same way! I ogle little babies all the time and I still have a little one of my own! A dragon and a hula girl! Those will be so cute! I’m starting to realize that our kids’ costumes are just as much fun for us as they are for the kids! So…that means she’s going trick-or-treating then. Sorry Johnny, you lost. For the record, I was a care bear for my first halloween, and I still think it was the coolest costume I’ve had to date. 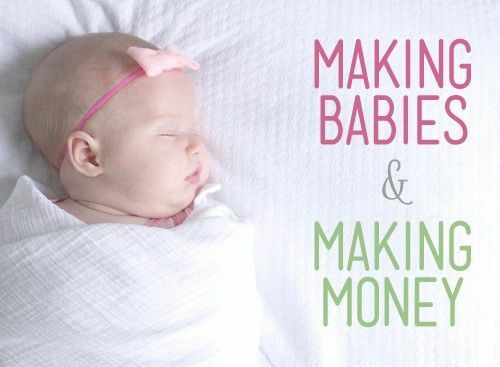 It’s good to hear your baby (and budget) is nice and healthy! I think Johnny’s coming to terms with losing this one. Our girl is going trick-or-treating. The end. I’m impressed you know what you were for your first Halloween! I have no idea what I was any years before I was like 8, and no pictures to remind me, either. I was the forgotten middle child, haha. I don’t have a kid of my own but I just got back from helping a friend and her 7 month old transition into a new nanny. Her son is going through the stranger danger phase now too, only he’s cool with me. For the first few days the nanny couldn’t even look at him! He’s only 7 months old but already in 12 month clothes! He’s actually about the size of a two year old girl we saw at the store! Crazy how big babies can get! That’s awesome your friend’s kid was cool with you… our girl likes certain people, too. I think babies have a good radar of people they can trust right away. You must be a sweetheart! Squeal!!!! Cuteness overload. It’s too much to handle. Sounds spot on with what we spent when our daughter was that age. 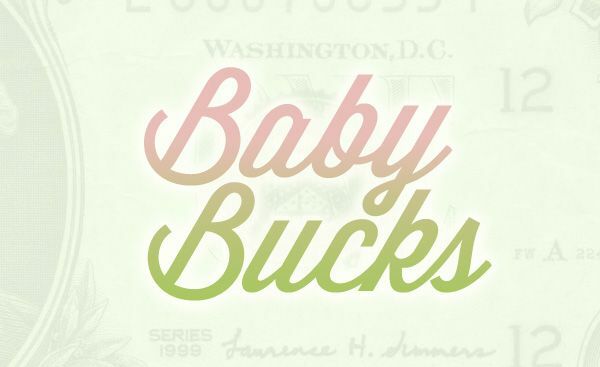 We spent a little less in diapers as I couponed for those. But I made up for it with the cost of formula. If I remember correctly, we budgeted $80 a month. Thanks, Taynia! I’ve been surprised how reasonable our little girl’s finances have been so far. I’m trying to enjoy it now since I’m sure it will just get more expensive from here on out! Oh let her go out with her dad, Joanna. Johnny will make out like a bandit in the treats collecting! Besides, since Halloween is my b/day – you all should celebrate – boo!!! Rob! You read it wrong. I DO want her to go. Johnny’s the party pooper. But I think I’ve just about got him convinced to let her go. So, don’t worry, we WILL be celebrating on your birthday! Tell Johnny that Rob says don’t be an old party pooper and to let her go out on Halloween. What better way to meet lots of new neighbors! i have been reading for awhile and have been hoping to soak up your words of wisdom and maybe thru osmosis start getting our finances on track. do you have any beginner first steps to knock out first so i can feel like i have accomplished somehting? you guys need to have an app! for real! can i send you my receipts and you give me a plan? your daughter is adorable!!! OMG those cheeks are just too much to handle. Hey Melissa! Thanks for reading. I think everyone’s first steps will be different, depending on their individual financial situation. That said, Dave Ramsey’s The Total Money Makeover really fired us up in the beginning! OH, I love your costume ideas for your sons! They’ll be so cute! I think we’re going to tag along with my sister and her kids this Halloween. So our girl will kind of get to trick-or-treat, but we won’t seem like the weird parents trick-or-treating alone with an 8-month-old, haha.